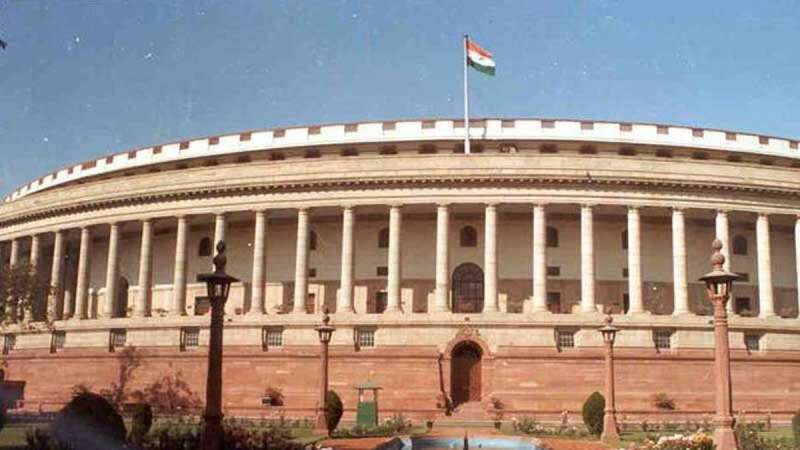 New Delhi : The Lok Sabha was disrupted on Tuesday as Congress members sought to raise the allegations levelled by Prime Minister Narendra Modi against his predecessor Manmohan Singh, forcing an adjournment halfway through the Question Hour. The Congress MPs later walked out over the issue. As soon as the House met, Congress members tried to raise the matter but Speaker Sumitra Mahajan denied them permission and went ahead with the Question Hour. The members, however, trooped near the Speaker's podium and continued to raise slogans demanding an apology from Modi. "All elections are over, the things that are said on the roads shall not come to Parliament... I am not allowing you to raise the issue," Mahajan said. Even then, the agitated members did not stop. Mahajan slammed the Congress for disrupting the Winter Session of Parliament, which they insisted on convening. "Again and again I am requesting you, don't disrupt the Question Hour. As per rules I cannot allow and I will not allow.... When the Winter Session had not started, you were asking for it. Now you are disrupting the session... I am sorry, please don't do that. "You don't want the session to run, give it in writing," she added. The Speaker then adjourned the House till 12 noon. When the House met again, the Congress members continued their protest. The House went ahead with the Zero Hour, with a few members also complaining about the ruckus. Before Mahajan adjourned the House for lunch, Parliamentary Affairs Minister Ananth Kumar slammed the Congress. "Whatever the Congress did today is shameful and condemnable. They raised an issue and came to the well of the house, which is wrong in itself. They also tried to run their own proceedings from the well. Mallikarjun Kharge without permission tried to read out a whole speech. This is an insult of the Chair," he said. "I strongly condemn their act. May God give them sense," the minister added. Modi, during the Gujarat Assembly polls, had claimed that during a dinner meeting at Congress leader Mani Shankar Aiyar's house, Manmohan Singh discussed the Gujarat polls with Pakistan's High Commissioner to India and former Pakistani Foreign Minister Khurshid Kasuri.